Previous PostPrevious 819. Pediatric airway features (vs. adults) // Until what age may uncuffed ET tubes be used? 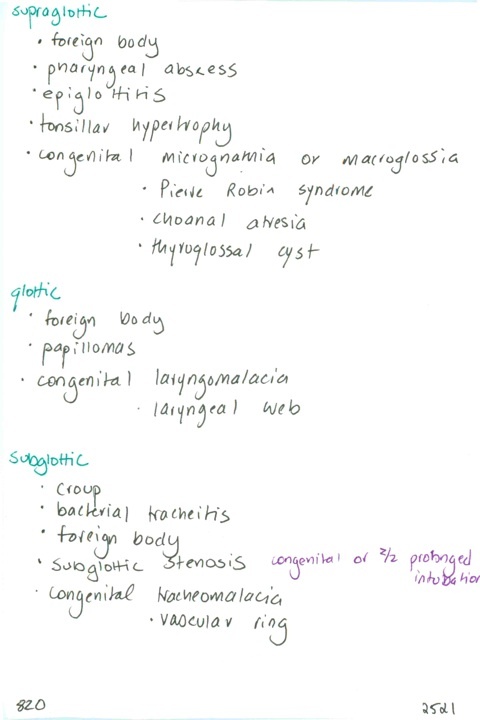 / What sounds are clasically associated with, and anatomic structures involved with: supraglottic, glottic, and subglottic lesions?